This summer I’ve been making lots of salads. 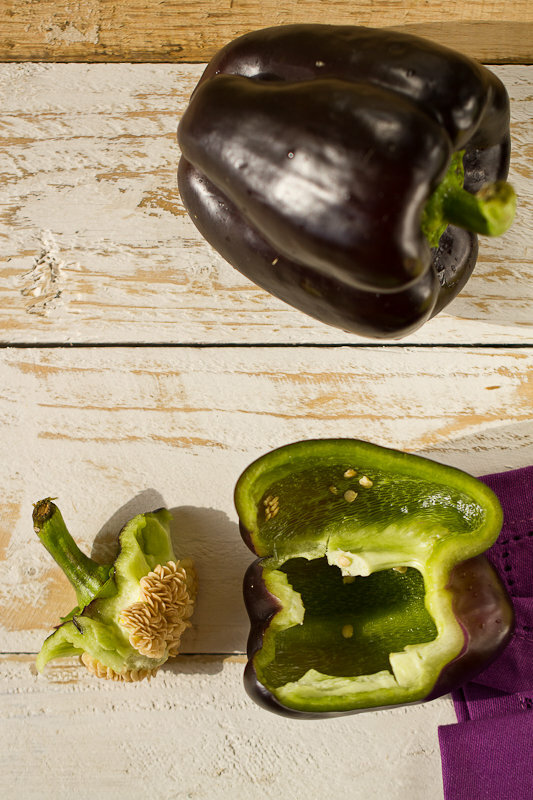 I found these beautiful capsicums at a store, grown by farmers in the Netherlands. They’re absolutely marvellous, aren’t they? 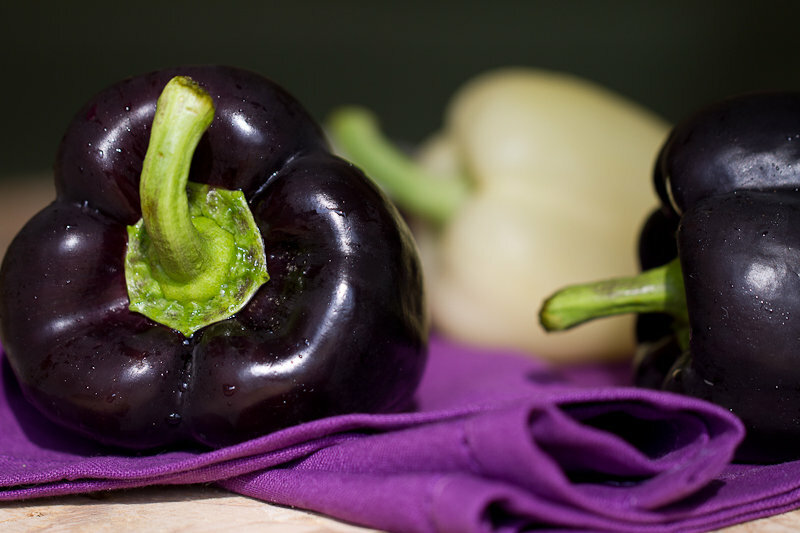 Never seen such deep purple, blackish color of bell peppers. 🙂 They are green inside and have got the same taste as green ones. 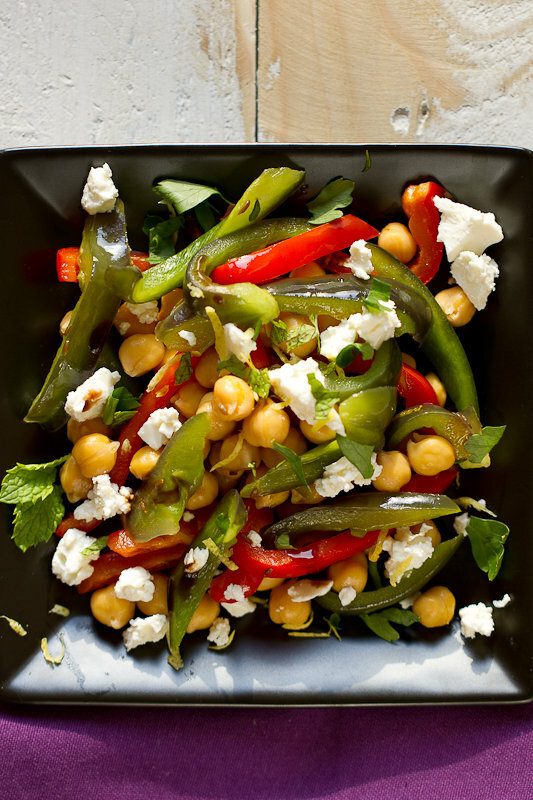 I promise, the salad won’t leave you hungry. 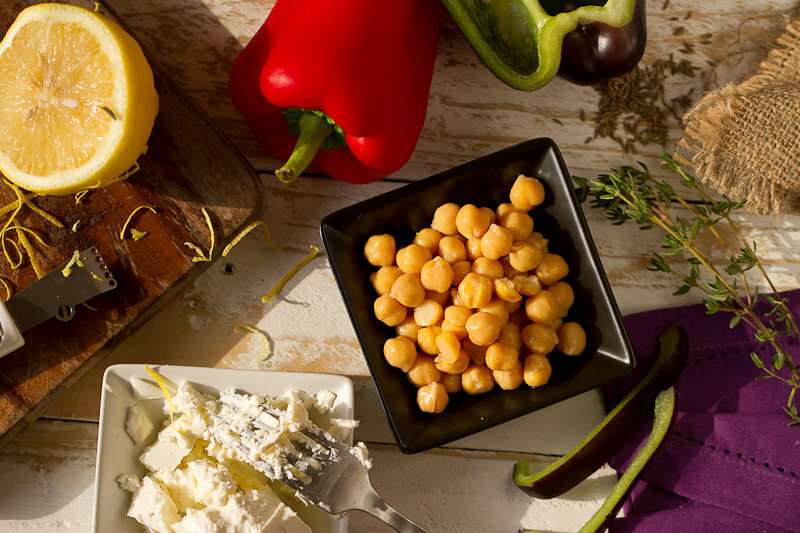 Chickpeas in it are high in protein! Usually I make it ahead (before fitness class, for example, after I’m so hungry!) so it has plenty of time to marinate. 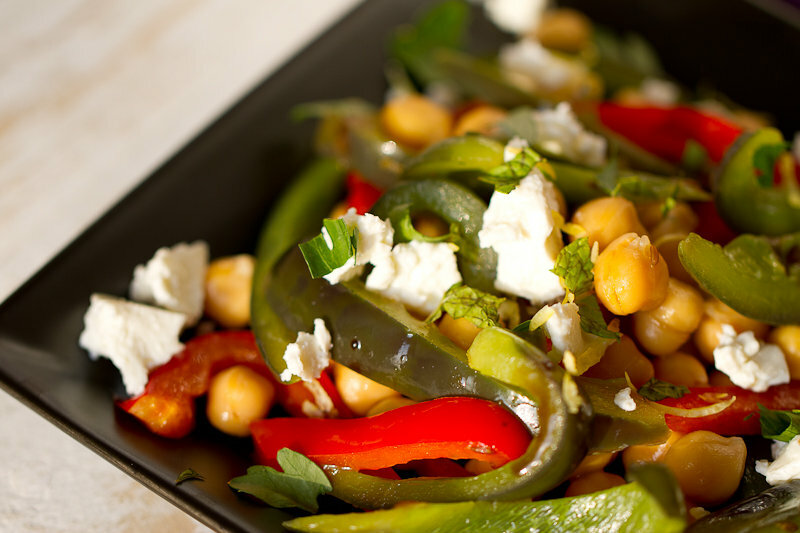 In a large bowl, combine chickpeas, capsicums, feta cheese and lemon zest. Toss to combine. Pour 2 tbsp olive olive and lemon juice over the mixture. Add some fresh mint and parsley; season to taste with grounded black pepper. You can serve it immediately, but I heartily recommend to leave it for 30-60 minutes to marinate. Aug29August 29, 2013 • By milkandbun • This entry was posted in Healthy choice, Salads and tagged beautiful, bell pepper, blog, Blogging, capsicum, chickpea, cooking, dinner, feta, food, food photo, fresh, healthy, healthy eating, lunch, My Life, photography, photos, recipe, recipes, salad, yummy. Bookmark the permalink. I love this dish. So beautifully presented too!